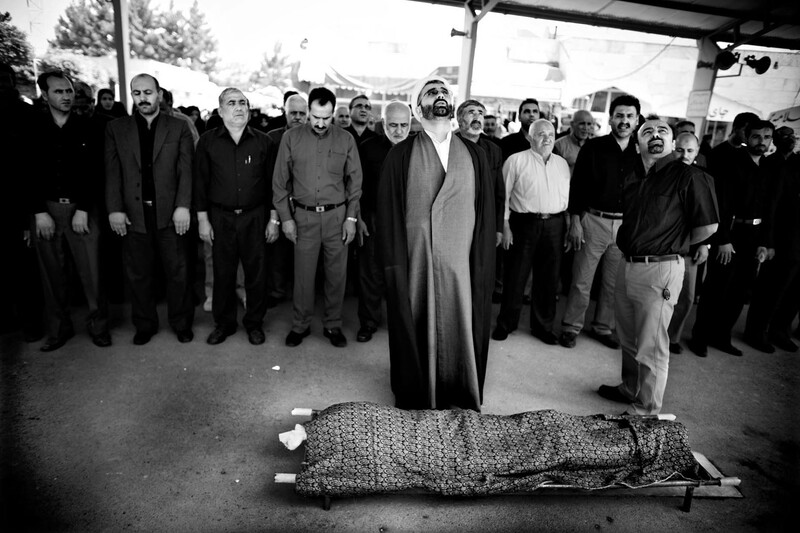 IRAN, Tehran Relatives and family gathered for funeral. This is the main graveyard in the south of Tehran. It is the only graveyard for the city of 14 million people. There are several hundred funerals here every day. In 2009, there will be 30 years since the islamic revolution in Iran. Today, there are more than 50 millions iranians, or 70 percent, that are under the age of 30. They are living between the old and traditional system and the modern Iran with internet, music and sms. And they experience huge differences in the society.